As I sit here in my office at my house in Bedford, UK, I am pondering tyre pressures. It’s over a week until I next turn a wheel at the Nürburgring for real, but in around twenty minutes’ time I will take to the track and begin my qualifying session for virtual VLN 6. Yes– you read that correctly. 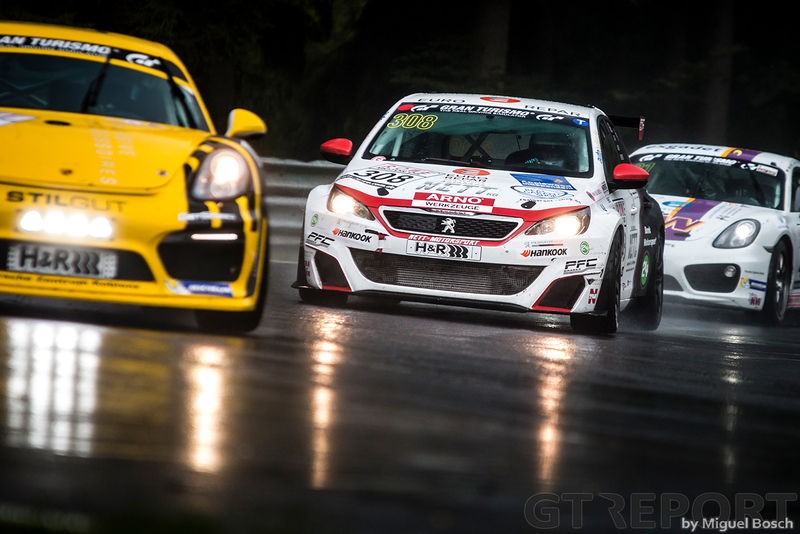 There is an online racing series, officially sanctioned by VLN itself, which runs exactly one week prior to the real-world events–and racing in it is the best possible preparation for racing in the real series that I can think of. Here’s why. Driving games and by extension, simulators, have been getting progressively more realistic for years now. 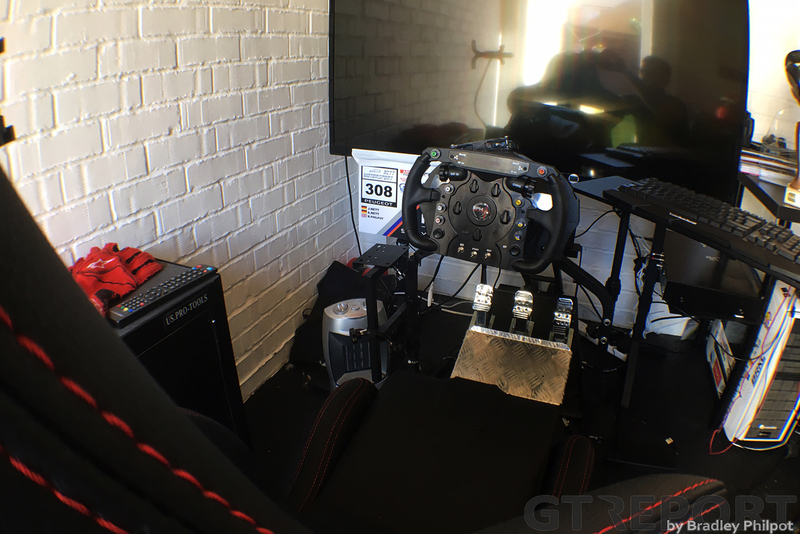 For racing drivers utilising home simulators, there are several sims that are commonly used, and fans of each of these will argue vehemently about the benefits of their chosen version–but I’m not here to advocate any single platform. Rather, I have a slightly different take on simulator practice in general. For me, it all revolves around how connected to the simulator you personally feel. If you feel like the car on the screen is responding to your inputs in the correct way, in a manner which feels realistic to you, then you will be able to derive benefit from the practice. If someone tells you that your given sim is ‘just a game’, or ‘not a real sim’–it doesn’t really matter, providing you are able to lose yourself, detach from reality and feel like you are genuinely driving the car. Now, obviously, if the simulator you are using (software and hardware) is as objectively realistic as possible, then all the better–but for certain areas, that element is not quite as important. If you have a home simulator, then you normally have the ability to turn up the force feedback (the amount of effort it takes to turn the steering wheel) to a realistically heavy level. You can also modify the brake pedal to give a greater level of resistance, forcing you to brake hard as you would when driving for real. You then have the ability to drive for a long stint with similar levels of effort to driving the real car–without any of the costs or risks involved in testing the real car. You can do this as many times as you want, and I can guarantee that my heart gets almost as much of a workout from this as it does in the real car, according to my fitness tracker. This particular element requires some additional jeopardy in order to be truly effective. For me, to really train my concentration virtually, I need some risk and reward attached to the session. 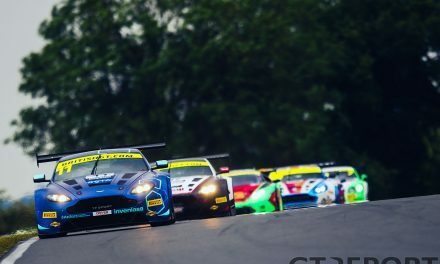 An organised online session, against real people such as the iRacing VLN series, where the car is just as fragile as in real-life and mistakes are therefore heavily punished, is perfect. If you’ve practiced for several hours in preparation for a race, the last thing you want is to sustain accident damage and lose the race. Having that in the back of your mind really focuses your brain on the task at hand and forces you to concentrate fully. 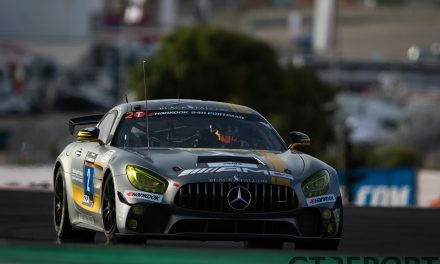 In real-world VLN, I tend to drive for around 90 minutes–so by racing solo for the full four hours of the virtual VLN series, my concentration is tested to the maximum. I also always deliberately race in a faster car online than my real-world version, with the aim of giving me plenty of time to make decisions in the real-life races as everything feels a little slower as a consequence. As long as the circuit model is genuinely accurate (and the version I personally use on iRacing is laser scanned and accurate to within a couple of centimetres) and the amount of steering lock you require in real-life for a given corner is similar to the virtual world, then the simple act of driving around the circuit will feel much more natural, familiar and easy over time in real-life–to the point where you can sometimes momentarily forget whether you are driving the real car or not. This sensation has happened to me many times, where the sim feels so real to you that you have a genuine mental crossover. 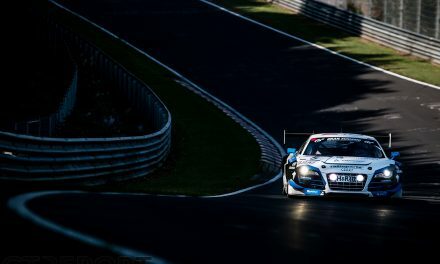 There are many lines at the Nordschleife which I have tried time and time again on the simulator to work out which is genuinely the fastest way through a given corner–and once I’ve settled on a technique and practiced it, this repetition really does bleed into the way I drive the actual race car during a VLN weekend. I mentioned button position, because I personally assign the buttons on my simulator’s steering wheel, such as pit lane speed limiter and headlights, to reflect the position of the real buttons, with the obvious aim of needing no conscious thought to find them in the heat of the moment. I’ve even seen some race teams practice pitstops using their simulators at the factory, with drivers wearing full race equipment including intercom systems. It might sound extreme, and it’s a lot of effort for a team to go to, but I fully believe that it’s this type of relentless practice which can win or lose a race in the real world. Lastly, and importantly, your confidence can really be improved simply by knowing that you have prepared as fully as you possibly could have done before a race. 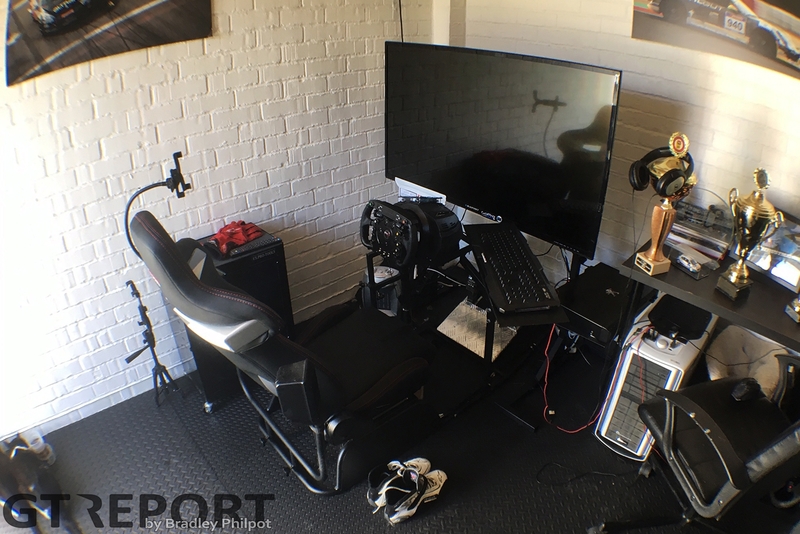 Whatever the other benefits to your laptimes, fitness, concentration and muscle memory are, and however small or large they may be, you know that you have been practicing whilst your competitors might have been watching TV. You feel deep inside that you have prepared to the absolute maximum, and that little mental boost can be incredibly helpful when the lights go out. 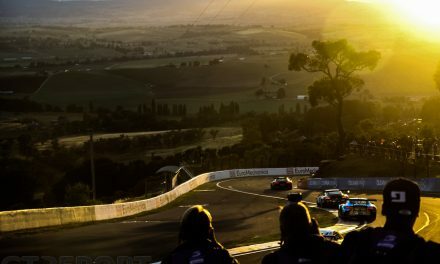 You look across the grid at the driver next to you and feel a little superior, for all of the reasons I have explained above–and it feels good. You don’t have to think twice before you defend or attack in a certain place, because you’ve made that move a thousand times in the virtual world. 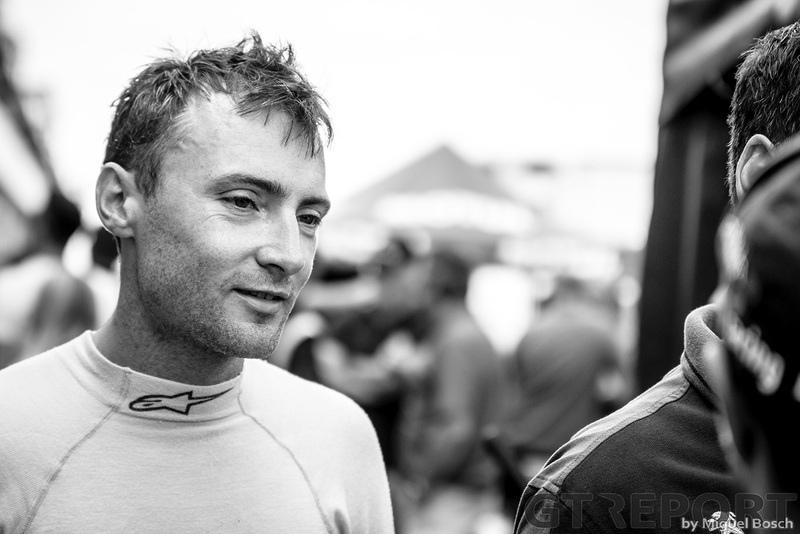 You have ensured that your racing skills are as finely honed as they could be before the race. In short, I believe that simulator practice is a fantastic way to prepare before a race weekend. It carries a great number of benefits with it, it can be extremely fun–and it’s so much more than simply ‘playing a game’. In my opinion, any serious driver who doesn’t already utilise this tool is missing out. By the way, I’ve chosen the tyre pressures, and the session starts in five minutes. Fast-forward to 13:15 for an analysis of the qualifying lap.